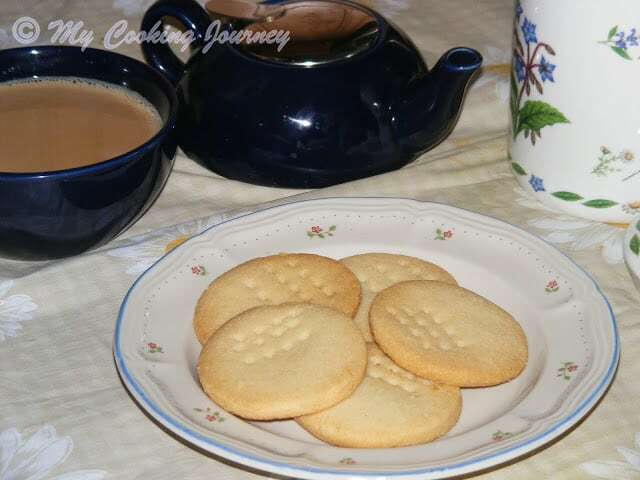 For the second day under the theme Tea Kadai Menu, I chose to make Butter Biscuits. 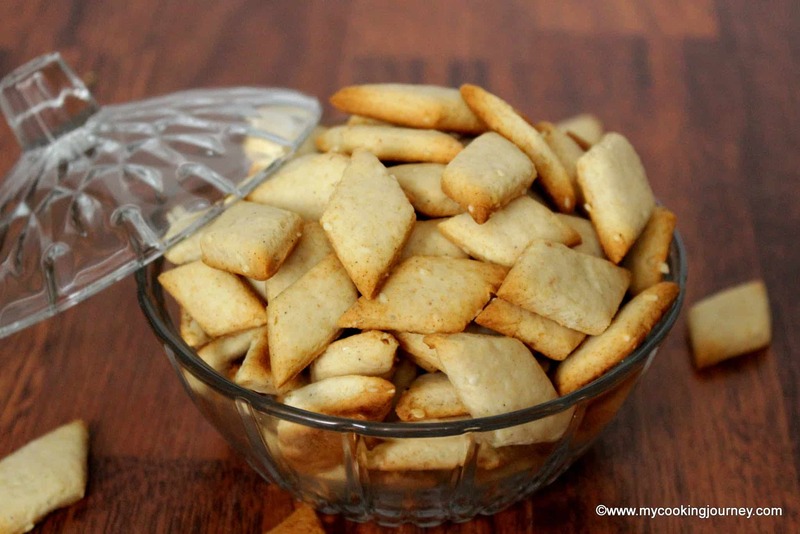 Every South Indian would have tasted this biscuit at least once in their lifetime or if you are like me, you would have grown up eating these biscuits. 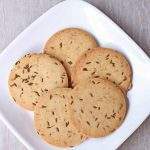 There are several brand names that came up with these cookies, but nothing could come close to the taste, flavor and texture that these road side biscuits have. Even to this day, when I go back to India, I make sure I get a huge package of this and I cherish every bite of it. The place where I buy it, still carry this in a transparent glass jar and he gives it wrapped in newspaper. 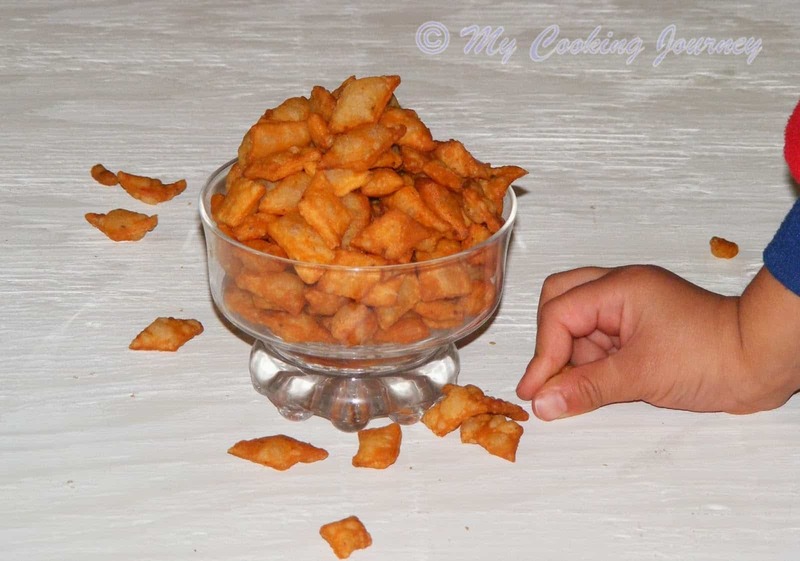 The recipe that I am sharing it today is from my Lakshmi Attai (aunt). 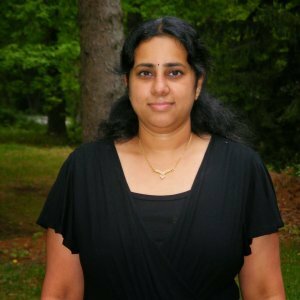 She is great cook and I follow lot of her cooking style in my day to day life. 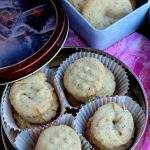 I have been making these cookies for few years now following my aunt’s recipe and it is a fail proof one. 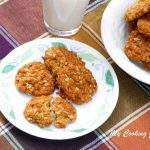 These cookies require very few ingredients and it can be made very quickly. 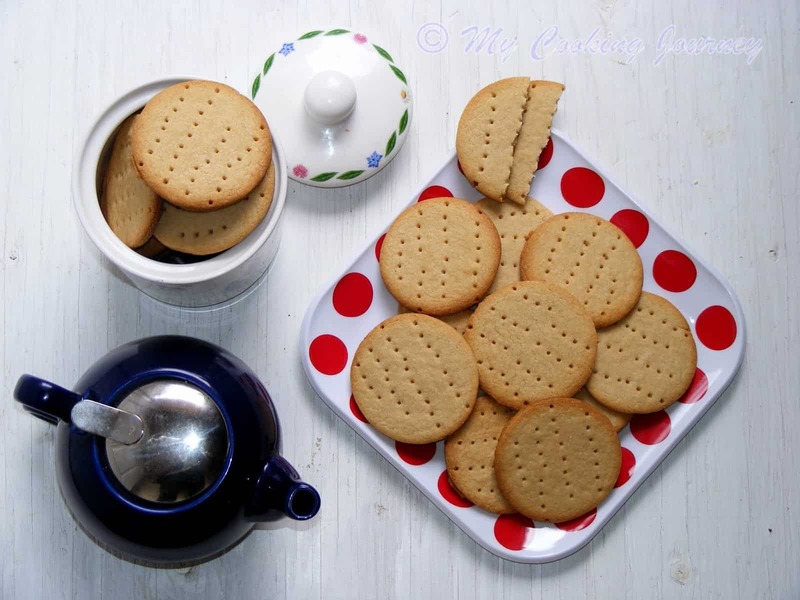 Traditionally these biscuits have the tiny pin point marks on them, which I made using fork. This mark defines it as the Butter Biscuit. Let the butter come to room temperature. Then beat the butter with the sugar until nice and creamy. Meanwhile sift the flours together along with salt and baking powder. 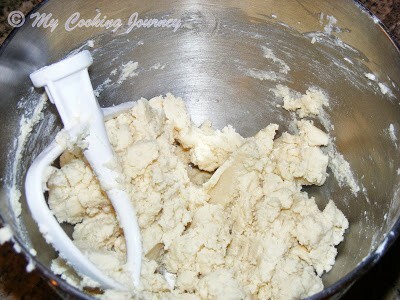 Add the flour mixture slowly to the butter and mix well. Let the dough come together. Gather the dough and knead for a minute. Bring it all together and make a ball. 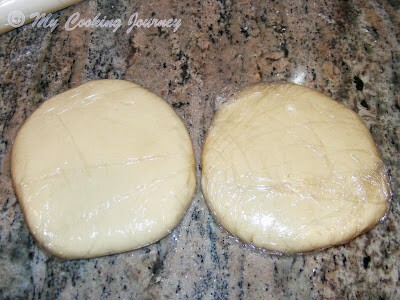 Slightly flatten the dough and then wrap it in plastic wrap and refrigerate it for few minutes. Refrigerating the dough helps to harden it a little bit and makes rolling easy. 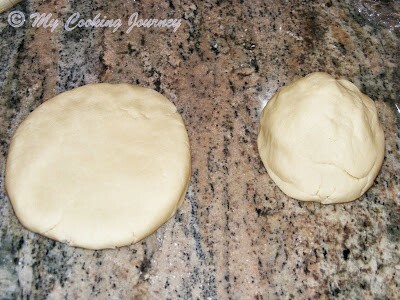 Bring the dough out of the refrigerator and then roll it to about ½ inch thick. 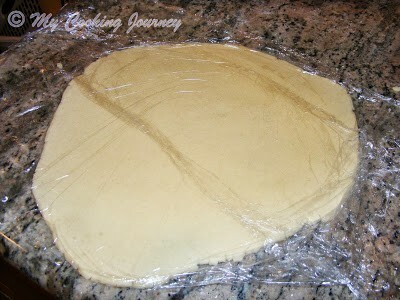 I layer the dough with plastic wrap and then roll it just so that there are no marks on the surface and the top is smooth. Now using a round cutter or anything you have in hand (I used a small steel box), cut out circles. 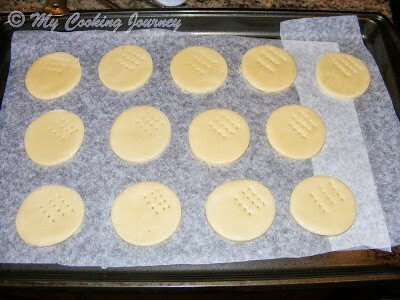 Using a spatula slowly lay the cookie on to parchment lined baking trays. 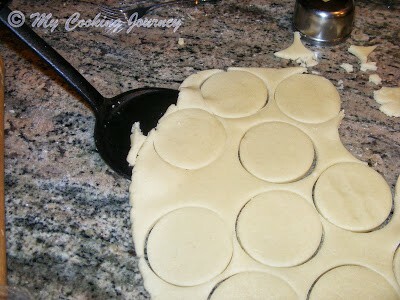 Using a fork, make the traditional butter biscuit holes. 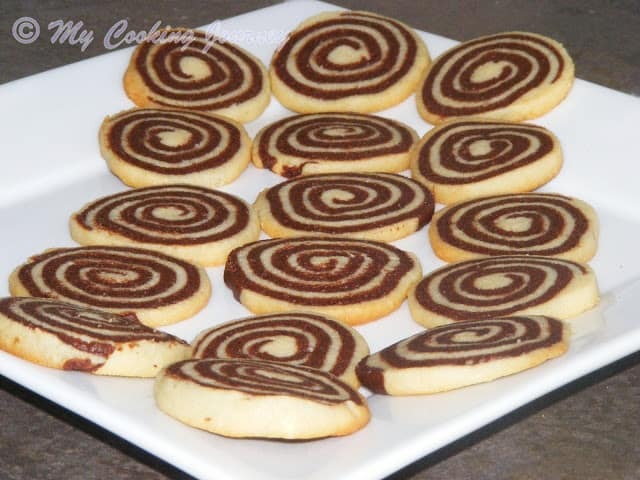 Bake for about 16 – 18 mins or until the edges turn brown. 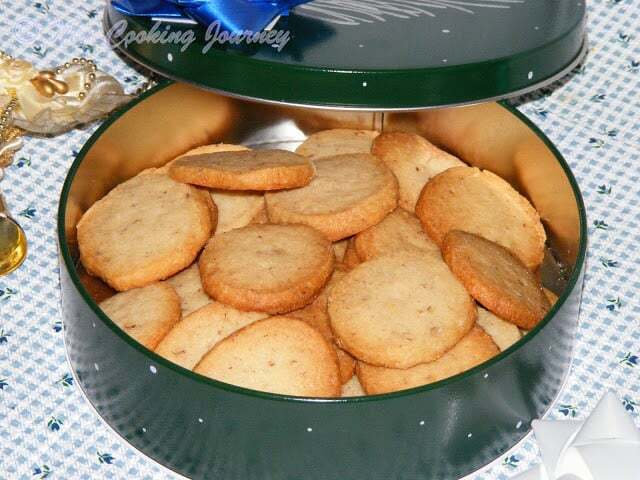 Slowly transfer the cookies to cooling rack and once completely cooled, store them in air tight container. 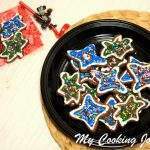 Enjoy the cookies as is or dunked in coffee or tea! Seriously looks yumm. I love the texture & perfect color on them. 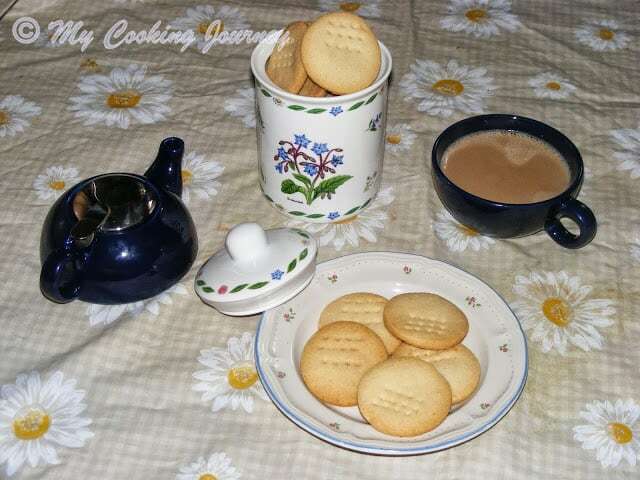 My hubby really luves this kind of biscuits, thanks for updating, biscuits looks soo delecious and dates back to my childhood memories! Wow ! 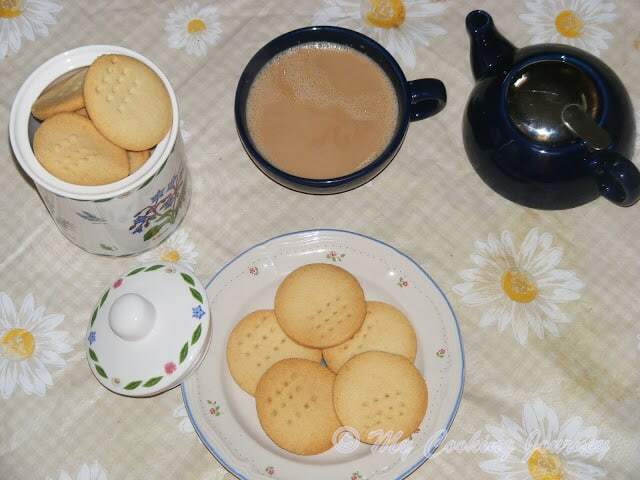 I can have all with tea! Superb Sandhya!..love the perfect setup, you are doing such an awesome job!..the biscuits look very tempting.. 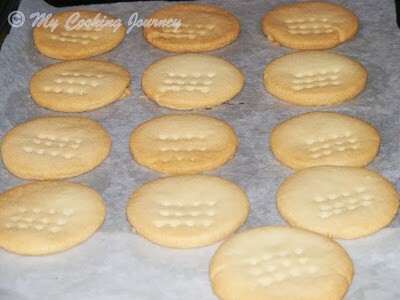 I dont add rice flour, even i chosed butter biscuits too for this theme, yours sounds quite different and super munchy. Hi Uma, Thanks. I have mentioned 1/2 lb which would be around 225 gms. G'day! These look delightful, true! Wish I could come through the screen and taste one with a cup of tea now too! 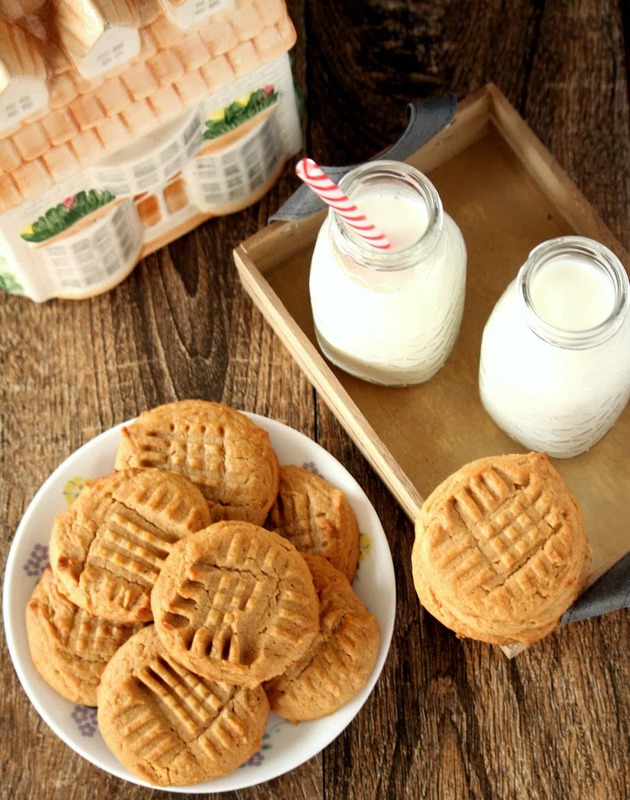 So buttery and delicioua cookies. Addition of rice flour is interesting. Bookmarked to try soon.